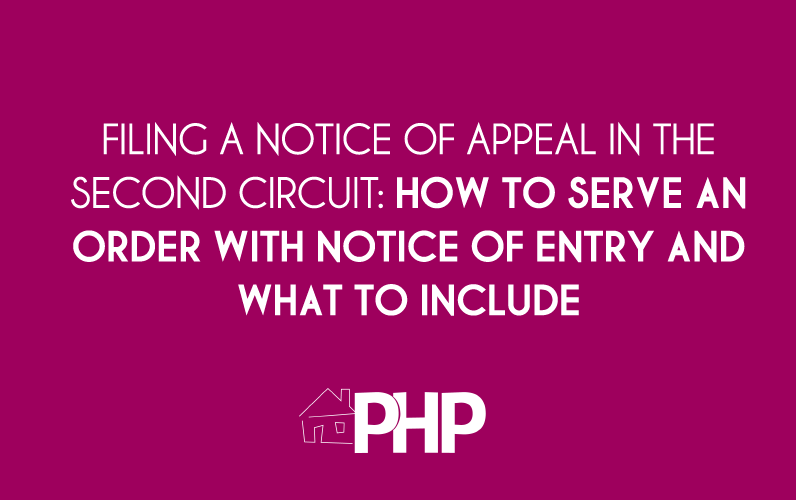 The first step when filing a notice of appeal for an appeal which will be perfected at the Second Circuit is to file with the District Clerk. An appeal permitted by law as of right from a District Court to a Court of Appeals may be taken only by filing a notice of appeal with the District Clerk within the time allowed by Rule 4. At the time of filing, the appellant must furnish the District Clerk with enough copies of the notice of appeal to enable the District Clerk to comply with Rule 3(d). An appeal from a judgment by a magistrate judge in a civil case is taken in the same way as an appeal from any other district court judgment. When two or more parties are entitled to appeal from a District Court judgment or order, and their interests make joinder practicable, they may file a joint notice of appeal. They may then proceed on appeal as a single appellant. When the parties have filed separate timely notices of appeal, the appeals may be joined or consolidated by the Court of Appeals. The notice of appeal must specify the party or parties taking the appeal by naming each one in the caption or body of the notice, but an attorney representing more than one party may describe those parties with such terms as “all plaintiffs,” “the defendants,” “the plaintiffs A, B, et al.,” or “all defendants except X”. Also designate the judgment, order or part thereof being appealed from and name the court to which the appeal is taken. The District Clerk must serve notice of the filing of a notice of appeal by mailing a copy to each party’s counsel of record — excluding the appellant’s — or, if a party is proceeding pro se, to the party’s last known address. When a defendant in a criminal case appeals, the District Clerk must also serve a copy of the notice of appeal on the defendant, either by personal service or by mail addressed to the defendant. The District Clerk must promptly send a copy of the notice of appeal and of the docket entries — and any later docket entries — to the clerk of the Court of Appeals named in the notice. The District Clerk must note, on each copy, the date when the notice of appeal was filed. If a party to a civil action in the District Court files a notice of appeal electronically in accordance with the Federal Rules of Civil Procedure and the District Court’s local rules, the District Clerk may satisfy the service requirements of FRAP 3(d) as to a counseled party to the appeal by effecting service electronically. Upon filing a notice of appeal, the appellant must pay the District Clerk all required fees. The District Clerk receives the appellate docket fee on behalf of the Court of Appeals.